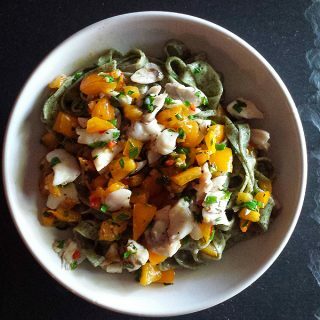 I make a lot of pasta, in all shapes, with all sorts of flours and fillings. They are scattered all over this site, making them hard to browse through, so I compiled them all here. 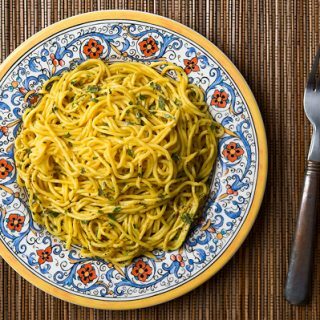 They range from the simple to the complex, and use everything from unusual flours such as barley or chestnut, to added ingredients within the pasta itself, like the Calabrian hot pepper pasta recipe. 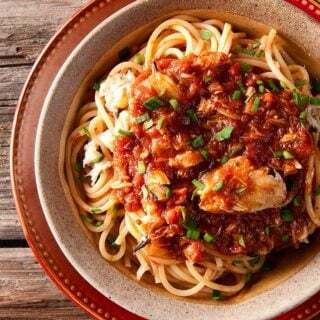 There are pasta recipes here both for making pasta itself at home as well as recipes for various pasta sauces, which you can use with any sort of noodle. If you are getting into making pasta at home, I highly recommend these books. 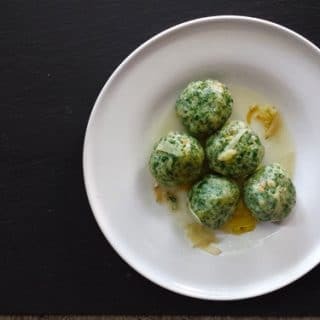 Super easy-to-make gnocchi (they’re made with a regular dough) served with homemade pesto. 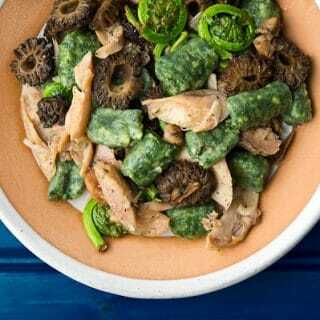 Gnocchi made with spinach, nettles or another green, served with morels and slow-cooked rabbit. 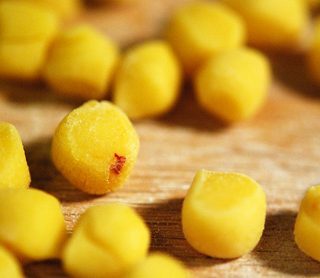 Little semolina dumplings from Sardinia, served with fresh chickpeas and tomato jam. 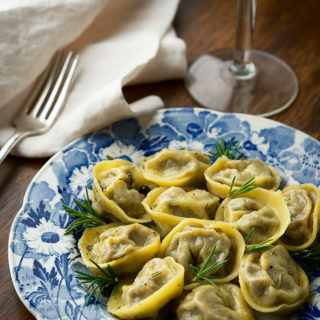 German style dumplings made with winter squash in the dough. 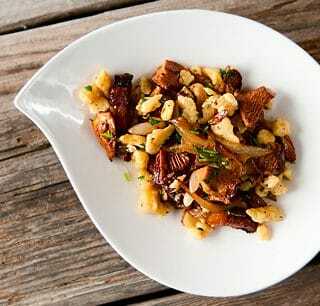 How to use acorn flour to make an earthy pasta dough, great for cavatelli. Cattail pollen is like an American turmeric or saffron: It is intensely yellow. Although no big in the flavor department, it is very nutritious. 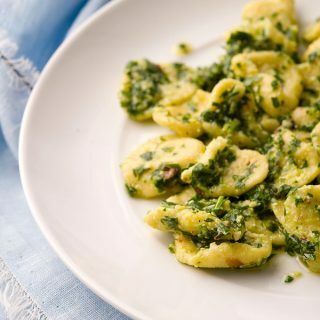 This is a traditional Northern Italian pasta called strettine, made with stinging nettles in the dough. 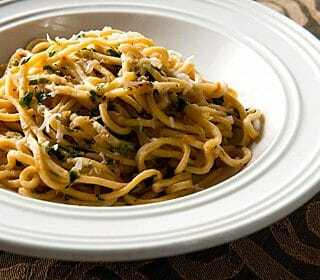 Another traditional pasta from Northern Italy, this is called blutnudeln, pasta moistened with pig’s blood. It’s not as scary as it sounds. Also called arrowhead or sagittaria, this is an aquatic tuber that can be dried and made into flour. 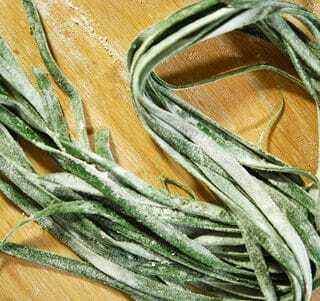 It makes a great pasta dough. 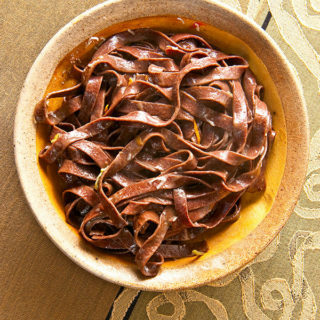 Pasta made with dried, powdered kelp. 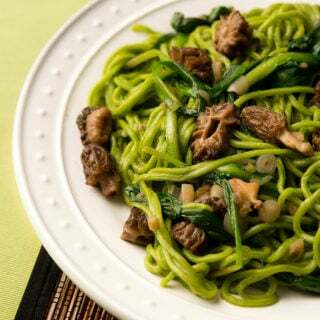 It has a pretty green color and a lightly briny flavor that goes well with seafood. 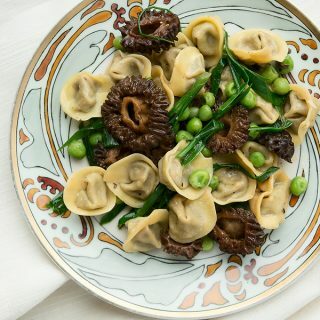 Wild onions (or scallions) pureed and added to the pasta dough, served with a morel mushroom ragout. 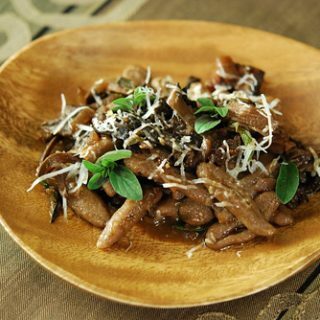 All kinds of mushrooms stewed into a deep pasta sauce and served with whole-grain or acorn pasta cavatelli. 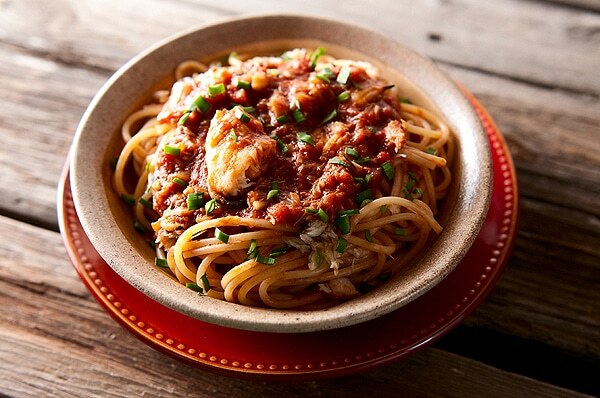 Spaghetti with a homemade crab sauce. It’s as good as it looks and works great with any sort of crab. 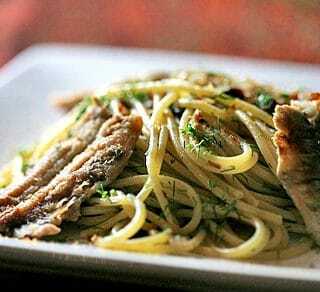 A hearty pasta sauce loaded with duck flavor. This one is an Italian classic. 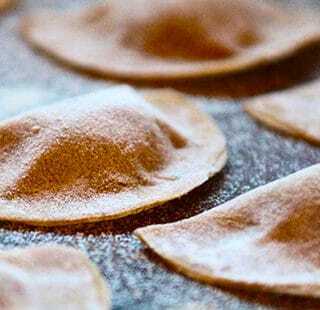 This is the ultimate filled pasta in Italy, a classic of Emilia-Romagna. You owe it to yourself to make this the next time you roast a chicken, turkey or pheasant. 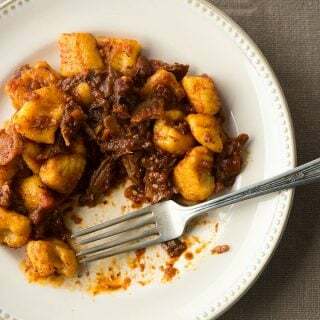 Cappelletti are like tortellini, but these are almost always served in broth. 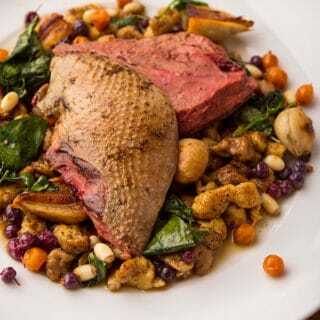 In this case, wild duck broth. 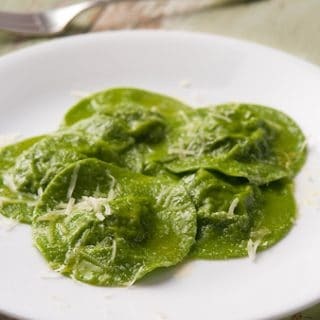 Raviolis filled with nettle and mascarpone cheese, wrapped in pasta dough made with nettles. Another “duo,” this one is a porcini filling with porcini pasta dough. A major mushroom hit with this pasta. Based off my mother’s lasagna recipe, this one’s a keeper. 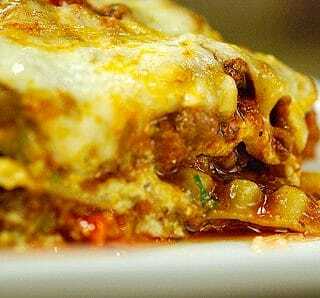 Large filled pasta stuffed with ground pigeon, dove or squab meat. 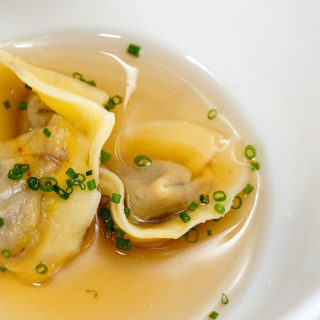 Duck liver, regular or foie gras, stuffed inside a duck egg pasta and served in a consomme, or with truffle butter. Decadence. 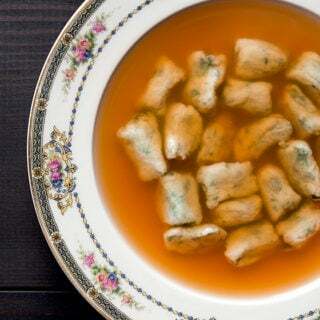 Another variation on the wild herbs with cheese filling so common in Italy. This one uses borage, which has a light cucumber taste. 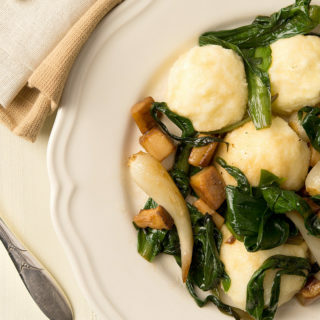 Gnudi are like ravioli fillings with no pasta. They’re tricky to make, but here’s how. The ramps and porcini are my sauce, but the gnudi are good just with butter and sage. Sort of like a Russian tortellini, only larger. These are filled with bear, but any meat would work here. Love your website. 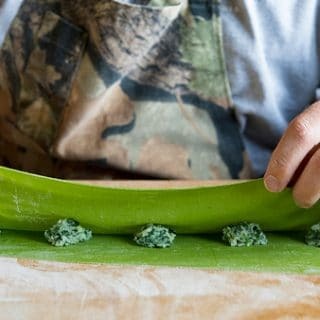 Quick question about homemade ravioli, hope you can answer. I’m filling with foie gras and mushroom for a dinner party. 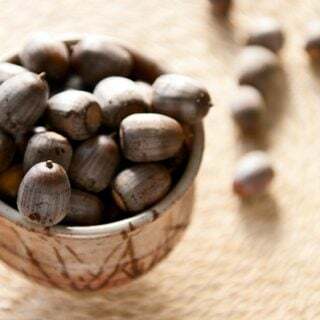 I’d like to make them earlier in the day but unsure how to store. 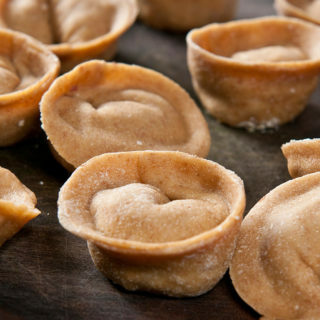 I’ve always frozen cheese ravioli, but was worried that freezing might not work with something as delicate as foie (plus, I only need to store for about 4 hours). What do you think? Freeze? Leave out covered in towel (will it get too dry? or will filling cause bottom to get soggy?) Refrigerate? Thanks for the help! Isabelle: It’s just egg whites and flour. Typically 10 ounces flour to about 4 or 5 ounces egg whites. As for shape, I normally do tagliatelle. OK great. I noted this.With 40 hens in here, we often can get a lot of eggs. That will be a great way to use them if I salted the yolks.